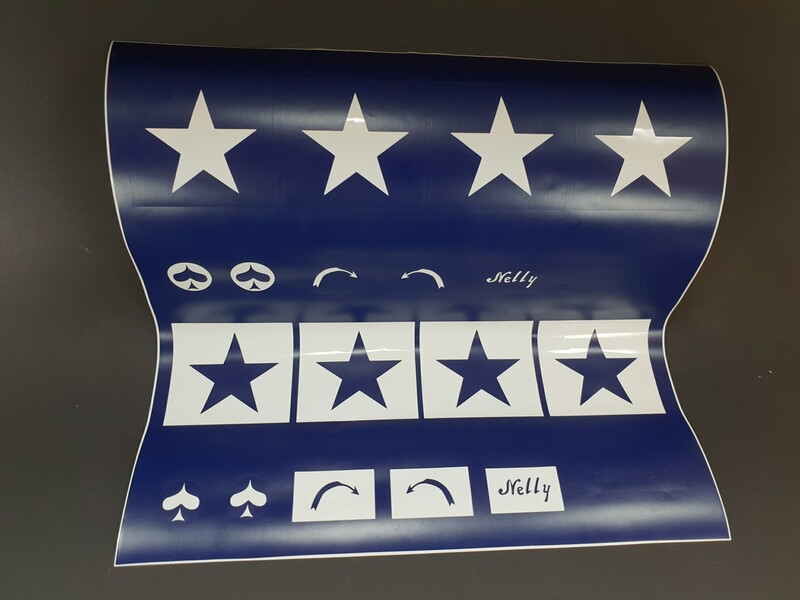 Photos show the sheet with vinyl removed (Main sheet shows 2 sets) differently so you can paint the star first and then mask or vice versa etc. The choice is yours. 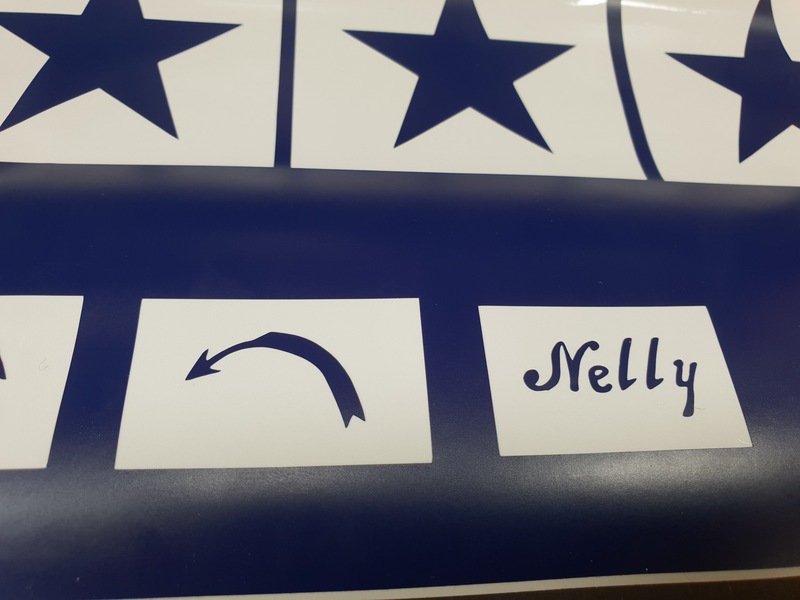 You will also get a small piece of special clear tape to assist with the alignment of the 'Nelly' marking. Vinyl colour will be subject to change but masks will be exactly the same. With the hard work of the digital images complete, the cutting can now simply be done 'on demand'. Very nice, Gary! Which cutter are you using? Thanks Gene. Brother Scan n cut. The scanner isn't that great so it's not as simple as scanning the original decals unfortunately. Now available, vinyl masks for the WNW Jeannin Stahltaube (1914). 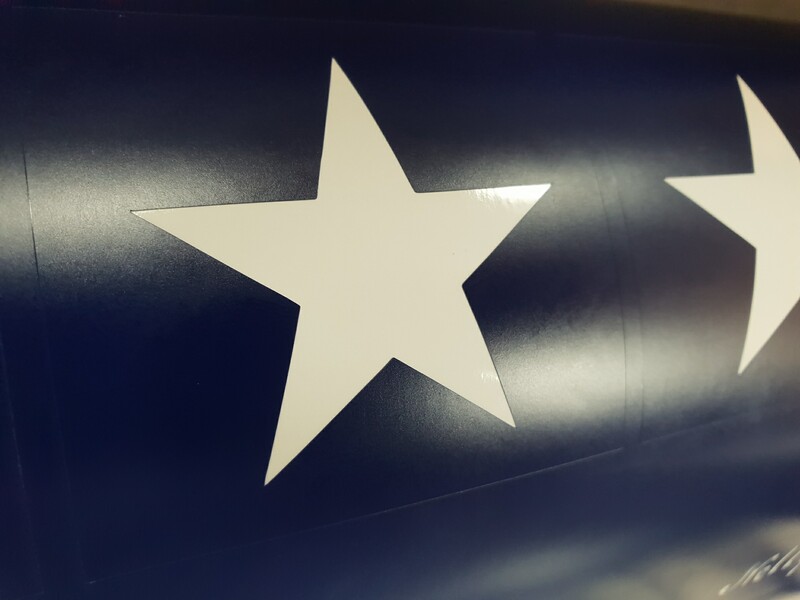 Consists of two types of national markings (with white outline and white square) for wings and tail along with 4 options for aircraft serial numbers. Nice Gary. Although I don't need either one to date I will look forward to trying one of your Masks in the future when you hit a subject I intend to Model. I hope you do well with this venture! GB ,nice.Shipping for Poland ? There is better masking material on the market that is semi-transparent and has a lot less tack than the material displayed in your image. This is the masking film I use for cutting markings and rib tapes. I can't recommend it highly enough. The good thing though is that it is very easy to reduce the adhesiveness buy placing it on your skin and removing it. But if the paint has been applied correctly and allowed to fully cure, then you shouldn't have an issue in my experience. However, as with any tape - inc low tack masking tape - I wouldn't apply it over the top of any decals! Brother Scan n cut. The scanner isn't that great so it's not as simple as scanning the original decals unfortunately. Thanks. I presently use a Silhouette Curio http://tinyurl.com/yaq8qcej -- highly recommended! 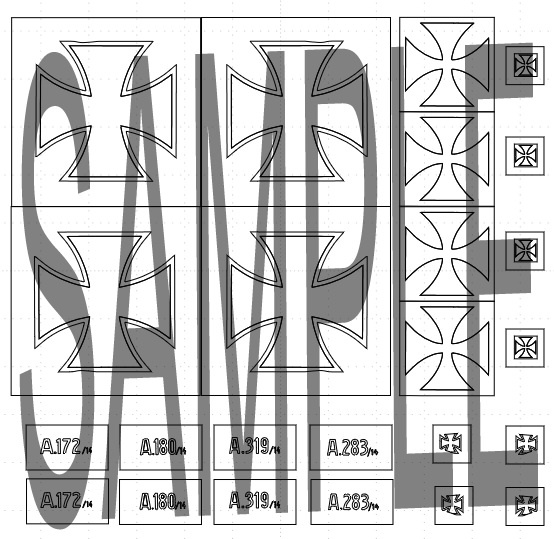 The accompanying software's trace function, however, isn't that great, so I usually do a manual vector trace. Regarding the masking material, I use Oramask 810 http://tinyurl.com/y8o4aflp in conjunction with "regular" transfer tape. 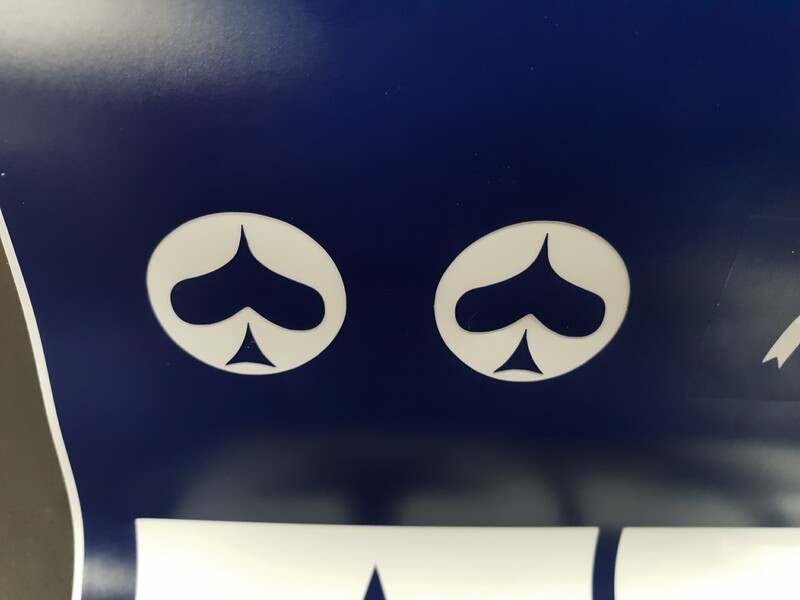 Really amazing how these machines and the masking material can produce such fine detail. Yes, 810 is a good product and I've used it often, but I always go back to the Artool for some reason. I ordered a roll of Artool Ultra -- thanks.